Christopher W. Beck and Lawrence S. Blumer. 2009. 64 pages. 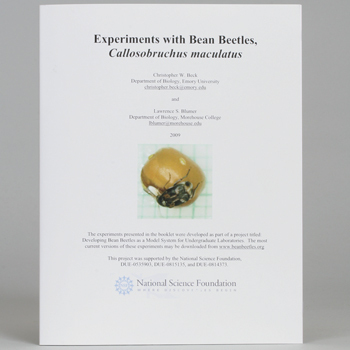 This handbook is an introductory guide to bean beetle behavioral studies, with instructions for conducting 5 different experiments.